Los Angeles, CA – Gold Futures traded higher Monday morning on short covering and bargain-hunting buying after weaker than expected U.S. employment data was that released last Friday. Over the past week, further gains in gold were limited due to bearish “outside markets” as the U.S. dollar index traded firmer and the price of crude oil traded lower. June gold traded up $11.80 Monday morning to $1641.90 an ounce. May Comex silver traded down $0.08 at $31.65. Last week, the precious metals market took a significant pull back on the Federal Reserve’s FOMC minutes. Federal Reserve President Ben Bernanke stated in his report that there is no new evidence to justify more monetary accommodation unless the U.S. economic expansion falters or prices rise at a rate slower than its 2% target. “A couple of members indicated that the initiation of additional stimulus could become necessary if the economy lost momentum or if inflation seemed likely to remain below 2%” said Bernanke in his statement. 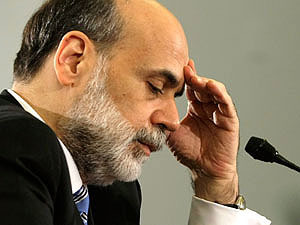 However, Bernanke also stated that despite some improvement in the economy it’s “far too early to declare victory” as the unemployment rate is still “elevated”. The employment report released this past Friday came in surprisingly very weak. Economists were looking for March’s job creation number to be in a range of 250,000 – 270,000. Friday’s report stated that just 120,000 new jobs were created, causing quite a shock. This type of disparity in projected employment numbers has already cause talk among investors that the economy is still weak and may not be able to sustain the mild recovery seen in the past few months. 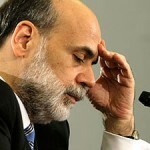 Federal Reserve President Ben Bernanke is set to speak at a conference in Atlanta on Monday, in which traders will more closely scrutinize his remarks in the wake of the job reports released on Friday. In addition, U.S. economic data due for release on Monday includes the Chicago Fed Midwest manufacturing index and the employment trends index. Despite the recent pullback, Gold is still up over 6% in 2012 and is in it’s 11th consecutive year of gains making it the single best performing commodity/safe-haven investment of its kind.